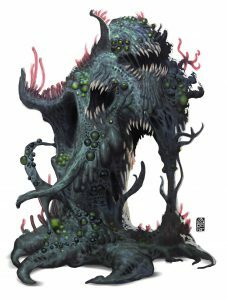 A horde of new monsters for your 5th edition campaign. 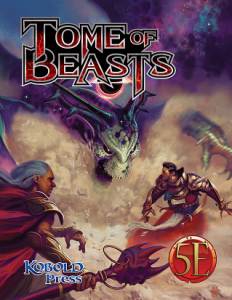 Whether you need dungeon vermin or a world-shaking personification of evil, the Tome of Beasts has it! 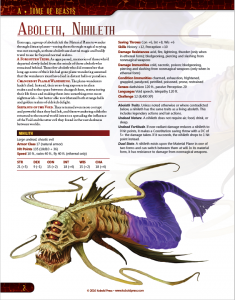 Tome of Beasts brings more than 400 new monsters to 5th Edition! This full-color, illustrated hardcover includes monsters from the entire history of Kobold Press, with longtime favorites such as clockwork creatures, drakes and dragons, devils and arch-devils, and dangerous flavors of the fey. 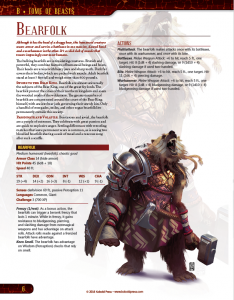 Use them in your favorite setting for fantasy adventure! Order now. Book of Lairs is the perfect companion to Tome of Beasts. 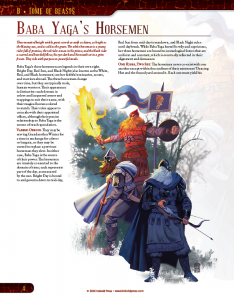 This volume offers more than 20 monster lairs—each with a complete short 5E adventure. Order now. Tome of Beasts Pawns contains 300 cardboard pawns to bring the monsters from Tome of Beasts to your tabletop. Order now. 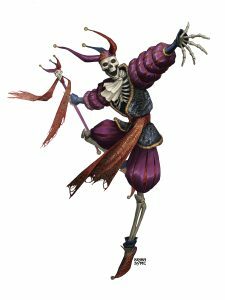 Tome of Beasts for Fantasy Grounds brings the Tome of Beasts monsters to your virtual table, with full stats, descriptions, images, and tokens. Your heroes are in for the fight of their lives.